Burns are considered as one of the most serious health problems throughout the world. They may lead to adverse consequences and outcomes. One of these outcomes is unplanned readmission. Unplanned readmission has been commonly used as a quality indicator by hospitals and governments. This study aimed to determine the predictors of unplanned readmission in patients with burns hospitalized in a burn center in the North of Iran (Guilan province, Rasht). 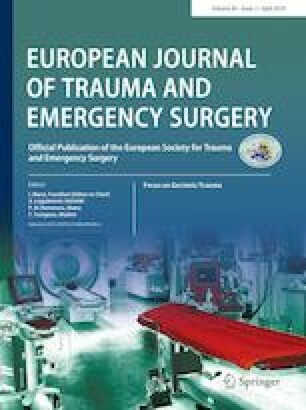 This retrospective analytic study has been done on the medical records of hospitalized patients with burns in Velayat Sub-Specialty Burn and Plastic Surgery Center, Rasht, Iran during 2008–2013. In general, 703 medical records have been reviewed but statistical analysis was performed on 626 medical records. All data were entered in SPSS (version 16) and analyzed by descriptive and inferential statistics. Among 626 patients with burns, the overall readmission rate was 5.1%. Predictors of readmission included total body surface area (OR 1.030, CI 1.011–1.049), hypertension (OR 2.923, CI 1.089–7.845) and skin graft (OR 7.045, CI 2.718–18.258). Considering the outcome, predictors following burn have a crucial role in the allocation of treatment cost for patients with burns and they can be used as one of the quality indicators for health care providers and governments. This study is a part of a Master Science of Critical Care Nursing thesis that has been documented with the number of 9055. The authors wish to appreciate the Deputy for Research of Guilan University of Medical Sciences for the financial support of the study, Social Determinants of Health Research Center (SDHRC), and all the staff of Velayat Sub-Specialty Burn and Plastic Surgery Center especially Dr. Cyrus Emiralavi (the President) for their help. This study was funded by Guilan University of Medical Sciences (Grant number: پ/4/132/3718). Zakiyeh Jafaryparvar, Masoomeh Adib, Atefeh Ghanbari, and Ehsan Kazemnezhad Leyli declare that they have no conflict of interest. Centers for Medicare and Medicaid Services.Readmissions Reduction Program (HRRP). [Updated August 4, 2014]; Available on: https://www.cms.gov/Medicare/Medicare-Fee-for-Service-Payment/AcuteInpatientPPS/Readmissions-Reduction-Program.html. Gilan Province. https://en.wikipedia.org/wiki/Gilan_Province (2016). Accessed 27 April 2010.